There is so much to see in New York City. Make your trip planning a little easier by getting an early view of the sights and attractions you plan to visit. Watch one of our featured videos to get a better idea of what you will find when you actually visit the city. View this collection of footage taken between 1896 and 1905 and shows various places around New York City, all identifiable by location on a map. It is fascinating to go back 120 years and view both forgotten landmarks as well as many still present today. Go back to the sights of New York generations ago. This video was taken between 1900 and 1920. See the landmarks, buildings and locations as they were, Quite an historical presentation. Gary Marlon Suson was the only photographer authorized to document the 9-11 recovery effort at Ground Zero. Several years later, he has opened a museum to showcase photos and "artifacts". Take a virtual tour of New York City during the holiday season.  National September 11 Memorial & Museum View this rendering of the soon-to-be-completed 9/11 Memorial and Museum at the site of the World Trade Center terrorist attacks.  High Line NYC Learn more about this hot newly expanded New York City attraction. 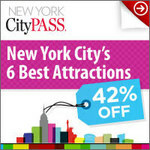  NYC Neighborhoods Take a quick video tour of NYC's most notable neighborhoods.  Central Park Possibly the number one visited attraction of New York City. Check out this overview video.  Times Square You will learn about the history and current events and attractions of this major crossroads video.  Brooklyn Bridge Visit one of the most historic bridges in the United States in this entertaining video. To find more videos, visit our New York City Video Site which includes over 100 additional choices about Central Park, Times Square, Neighborhood and other topics. If you want to share your video with us, email us at info@mustseenewyork.com and include the location of your video on YouTube or elsewhere, and we will consider your video for inclusion on Must See New York.